I’m glad to announce that we’ve updated Opera for Android. We worked on many stabilization fixes and improvements under the hood. But, let me show you a few visible changes including a sharing bookmarks feature. Whether you are preparing a trip with your friends, collecting design materials for your latest project or just making a list of interesting stuff online, now you can share what you find with Opera for Android. You can choose individual bookmarks to share or share an entire bookmark folder with anyone. Tap the Bookmarks entry on your Speed Dial. Tap Manage and select which bookmarks or bookmark folder you want to share. Tap the share button (beside the trash icon). Name your bookmarks collection, then tap OK. 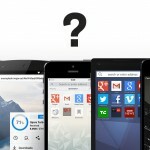 Choose how to share your bookmarks. 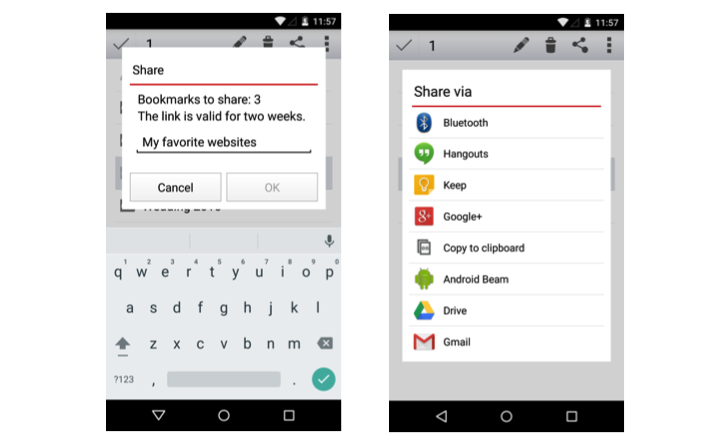 Opera supports a number of different sharing methods, from Android Beam to Bluetooth to your social networks. The app creates a beautiful page for what you share, accessible by anyone regardless of what browser they use. Opera’s new, simplified menu highlights your data savings. Tap the O button to see how much you’ve saved by compressing pages with Opera. If you’re using Opera for Android for the first time, use the menu to enable Off-Road mode when you’re on a poor connection. This data-compression technology crunches down the size of sites, so you can browse faster, extend your mobile data and help save money on your phone bill. We also added an exit button in the menu for a quicker and cleaner escape from the browser. Opera for Android is available in the Google Play Store as a free download. Give it a try, let us know what you think and stay tuned for our next release.